Well as the year is rocketing along & we have done one gig already, it’s time I let the cat out of the bag. We have a rad new venue for our end of year gig that I’m sure you’re all going to love. Our end of year gig is at ……….. Yes, that’s right folks, we are rockin’ Lizottes on Sunday 8th November! This gig will be a little different from our previous ones, as it’s a bigger venue we’ll be putting on more of a show & we are raising the bar for performances! 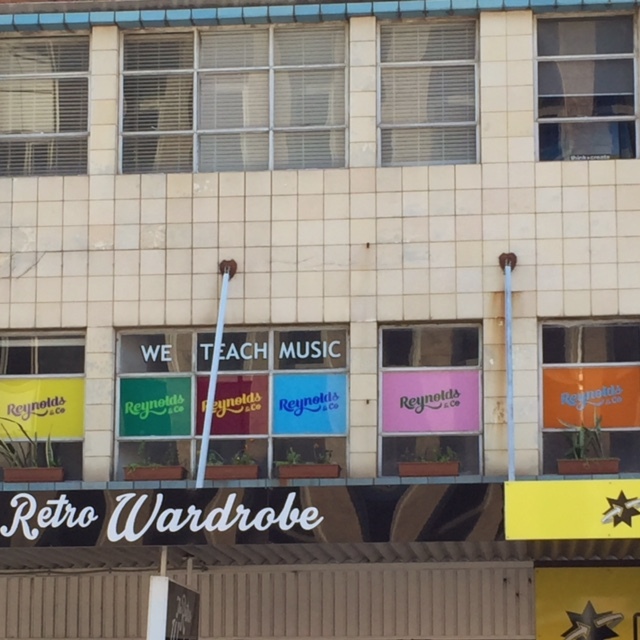 Some of the teachers have already started locking in songs with their students as everyone that will be performing will have to know their songs by the end of this term. We’ll also be organising more students accompanying each other, so there’s an opportunity to play in more than one song! The gig will be on at midday with an a la carte menu available. Eat food, watch music, have a drink. I can’t think of a better way to spend a sunday afternoon in November! School holiday workshops went off! 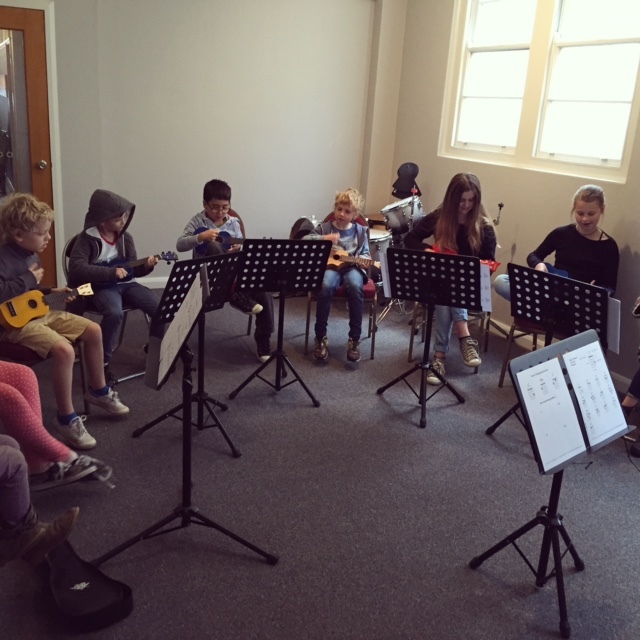 We had stacks of students book in for the workshops, heaps of fun was had all round bashing drums, strumming ukes, singing some tunes & rocking out in bands. We’ll definitely be doing more in the future, watch this space for more deets. So I got bored one morning & decided to start buildin’ myself a wall. 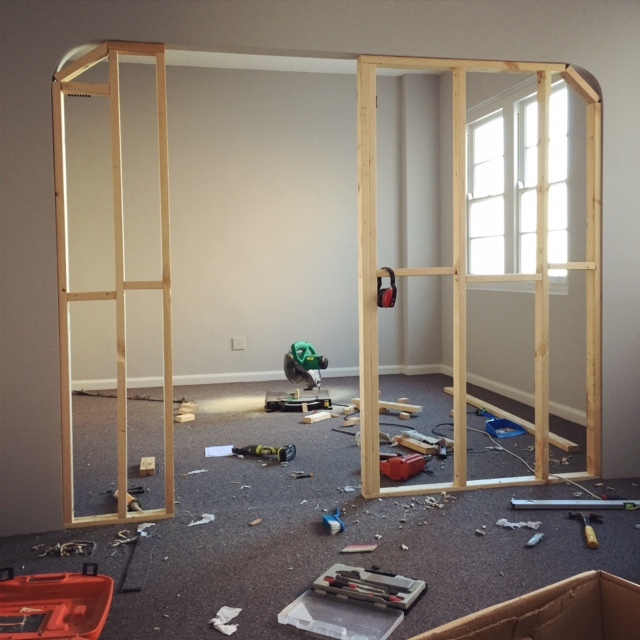 Doesn’t look like much yet, but it’s the first stage of our new recording studio! Can’t wait to finish this project, I’m super excited to offer this to students keen to experience some studio time. American Pickers (History), Pawn Stars (History), Live MBL, NFL broadcasts (Fox Sports), Teen Mom (MTV), Ridiculousness (MTV), Made (MTV), American Restoration (Discovery), Say Yes To The Dress (TLC), Metal Mania (VH1), Hot 20 Countdown (CMT), Guinness World Records (History), Rich Kids Of Beverly Hills (Oxygen), Flipping Out (Bravo), You Can’t Lick Your Elbow (National Geographic), Dance Moms (Lifetime). Heaps of random shows, there are more too, even some I don’t know about as sometimes I never know that my music gets used in a show until a year later! Anyway, for those who like cold hard facts & want to see my music in action, I’ve dug around & found this old clip of The People’s Choice Awards which aired on CBS in America back in 2010 when I was first approached to write for the show. I was asked to write dance/pop/electronica tracks in the style of Lady Gaga for presenters & award winners to walk on stage to. This is a short snippet of Jessica Alba walking on stage to one of my tracks, probably the least Lady Gaga like track I wrote, but they still used it…. so who am I to complain?